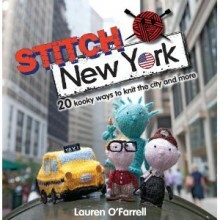 Join the sneaky stitching graffiti knitter Deadly Knitshade on Friday June 21st at 8pm for a FREE yarnstorming alien invasion of the London Overground. 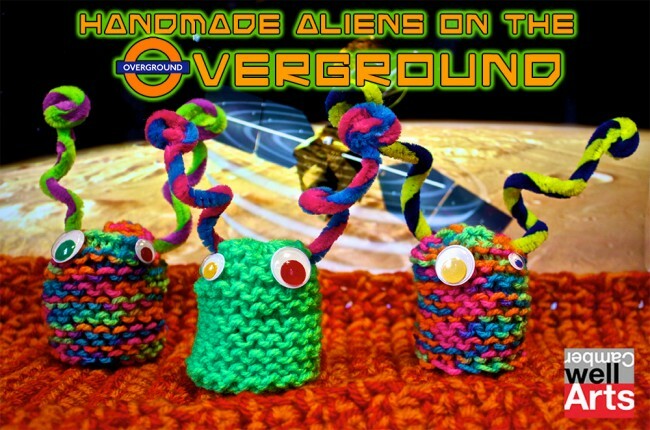 Gathering at The Phoenix Pub by South London’s Denmark Hill station, the handmade martian makers will board a train with needles and yarn and create a handmade alien horde for passengers to take home and teach our strange human ways. The pop-up yarnstorming knitting circle will travel to Highbury and Islington and back leaving a trail of handmade martians behind them. If you want to tell us you’re coming and you’re on Facebook join the Aliens on the Overground events page. Aliens on the Overground is part of Camberwell Arts Festival which runs till June 23rd. Find out more about the festival and other arty goings on here. Can’t make it to the event? You can grab the pattern for Manic Mars Martians and release them where ever you are.